Safflower oil 70% is clear golden yellow to straw brown colour semi viscous oil with characteristic odour and nutty taste of vegetable oil. It contains CLA (conjugated lineolic acid) in high concentration. Safflower oil 70% contains not less then 700mg/g of total CLA contant. 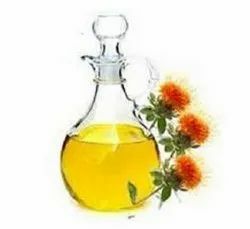 Safflower oil 70% is used as a natural source of CLA in pharmaceutical, Nutraceutical, Food and cosmetic industries. n This product is completely soluble in oils and fats, Stable for soft gel application. n Dosage will depend on particular application and formulation. n We suggest carrying test at different concentrations to determine most appropriate levels for each specific applications. 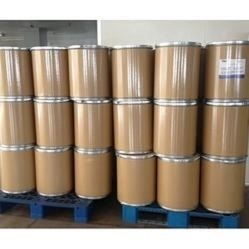 n Mostly used in weight management industry in capsule or powder form. n Spry dried powders CLA-30% & CLA-40% are extensively getting popular in weight management, nutrition and food space. MCT oil is clear transparent colourless oil with characteristic sweet odour and nutty taste of coconut. It contains medium chain triglycerides (C8,C10) from fresh coconut. MCT Oil is used as natural source of energy in weight management and sports nutrition. n Increased application in pharmaceutical, Nutraceutical, Food and Organic cosmetic industry. n This product is completely soluble in oils and fats. n Dosage will depend on end application / formulation. n Spry dried powders are extensively getting popular in nutrition and food space. n We suggest carrying test at different concentrations to determine most appropriate levels for each specific application. n Studies show positive results in Weight management, anti-aging, HDL and LDL balancing, brain health (Alzheimer’s and Autism). Evening primrose oil has proven to be a valuable treatment choice for people suffering from skin conditions, such as eczema, psoriasis, and atopic dermatitis. ... An evening primrose oil benefit is its ability to help naturally cure psoriasis—because the essential fatty acids help with hormone balance and digestion. Thyme is a herb from the Thymus vulgaris shrub, a member of the mint family. 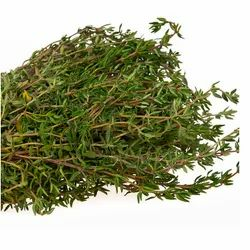 While used primarily as a seasoning for cooking, thyme is also used as a condiment and in pickling. Thyme can be found in cosmetics and fragrances, and also supposedly has medicinal value. The flavor of thyme is somewhat minty. The small, greenish-gray leaves are typically dried and can be chopped, ground or crumbled. The ancient Greeks believed thyme to be representative of sacrifice and courage. 4.Thymol is used internally in the treatment of dry coughs, whooping cough, bronchitis, bronchial catarrh, asthma, laryngitis. Pharmaceutical Raw Materials and APIs. Pharmaceutical raw materials encompass elements that are required to manufacture a variety of different drugs. These materials are derived and extracted from sources that could be natural or synthetic. Every pharmaceutical is made up of active ingredients and excipients. Saw palmetto (Serenoa repens/Sabal serrulata) is a palm-like plant with berries. The berries were a staple food and medicine for the Native Americans of the southeastern United States. In the early 1900s, men used the berries to treat urinary tract problems, and even to increase production and boost libido. Today, the primary use of saw palmetto is to treat benign prostatic hyperplasia (BPH), a non-cancerous enlargement of the prostate gland. Researchers aren't sure exactly how saw palmetto works. But it contains plant-based chemicals that may be effective for BPH. Researchers think that saw palmetto may affect the level of in the body, and perhaps reduce the amount of an enzyme that promotes the growth of prostate cells. Saw palmetto also seems to have an anti-inflammatory effect on the prostate. At least one study has shown even greater anti-inflammatory activity when saw palmetto is combined with lycopene and selenium. Pharmaceutical Raw Materials and APIs. Pharmaceutical raw materialsencompass elements that are required to manufacture a variety of different drugs. These materials are derived and extracted from sources that could be natural or synthetic. Every pharmaceutical is made up of active ingredients and excipients. Looking for Essential & Medicinal Oils ?